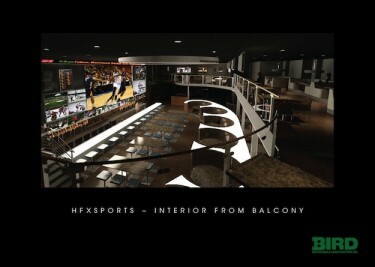 The Palace nightclub is being remade into HFX Sports Bar & Grill: a destination sports bar. Last year, brothers Marcel and Michel Khoury decided the Palace had run its course. They closed the club at the height of its popularity because to them, it resembled every other place downtown. The new owners spent time travelling the world to gain inspiration for a new, innovative restaurant that would take the city by surprise. 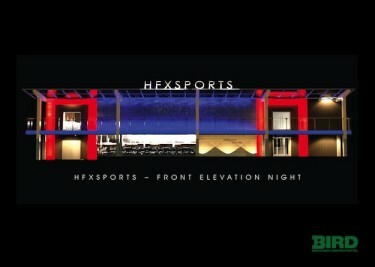 That’s when they came up with HFX Sports Bar & Grill, which is set to open in early January. The matter-of-fact name, however, doesn’t give their vision justice. “(Places that) have inspired us to create the new concept are Las Vegas, New York (and) Toronto,” says Marcel. Marcel Khoury says no other place in Halifax will have the magnitude or grandeur of the new sports theatre. The duo has spent nearly $2.3 million. This time around, the brothers are going for an upscale sports bar, lounge and restaurant mash-up and they think Haligonians are waiting for the change. Khoury says the bar will have more than a hundred TVs on which to watch sports events. There will be private booths that have their own screens and sofas centered around fireplaces. Khoury says he’s aware of how, with new spread of technology, it’s no longer a thing to go out and meet people face-to-face. But he wants to bring that time back with a destination sports venue. Dalhousie student Anam Hamza hopes the bar will be like the larger ones in Quebec she is fond of. “They just have a different atmosphere, in my opinion. I think people would definitely go and like it. It’s (always) nice to have a change,” says Hamza. She says students have been waiting for something like this to come to the small city where everything looks and feels the same. The owners are still hoping to see their regulars, but they’re also looking to attract a new, mature clientele. Nadeem Ali Marson, a basketball coach in Halifax, says he’s looking forward to having a new sports bar that competes with higher-end sports bars in other cities. He’s been to Toronto multiple times and says plans for the new place remind him of Real Sports, the Toronto bar with a two-storey screen that is considered by some to be the largest sports bar in North America. Khoury says with the club being only a few steps away from the Metro Centre, Citadel Hill and the soon-to-be $500 million World Trade Convention Centre, they hope to attract families before and after events. Though, it hasn’t been easy to run a new upscale business and there’s no guarantee it will be a success. Pogue Fado closed abruptly last April, as did Bubbles Mansion three years ago in March after representatives said they could no longer keep up with more popular venues. And students found other options after government legislation banned charging $1 for alcoholic beverages. HFX Bar and Grill had some setbacks on finishing up construction and delays shipping in equipment. But Khoury says it will be open in time for the Superbowl, the Olympics, Mooseheads season and the end of the NFL season. “Students will be returning from their holiday break, only to be welcomed by an amazing new addition to the downtown Halifax entertainment scene,” says Khoury. The HFX Bar and Grill is taking the place of the old Palace nightclub on Brunswick Street. Let us know when the grand opening will be. “The new owners spent time travelling the world to gain inspiration for a new, innovative restaurant that would take the city by surprise. ” LOL they went to real sports in Toronto. “They closed the club at the height of its popularity because to them, it resembled every other place downtown.” It was at the height of its popularity about 15 years ago, and it resembled no other place downtown, and not in a good way.